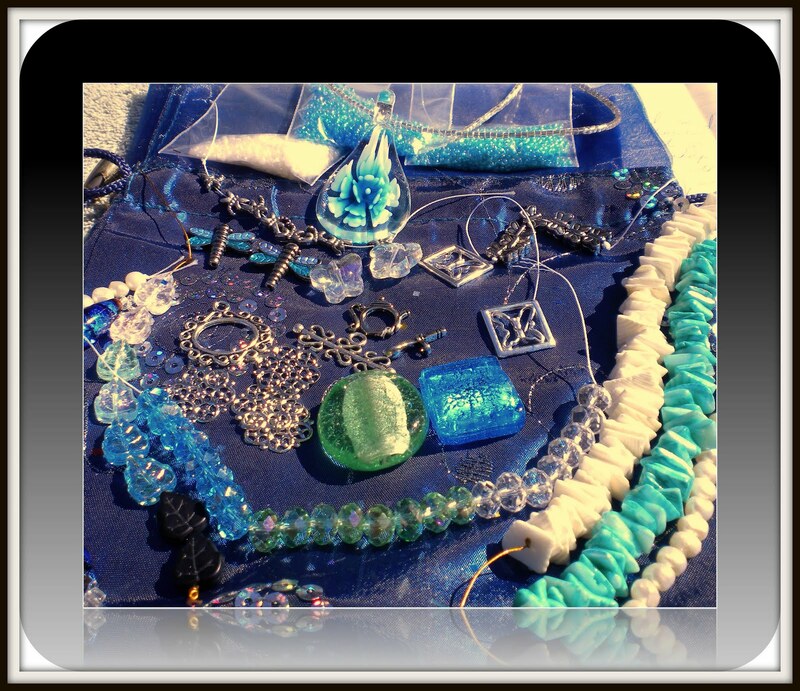 Welcome to the Bead Soup Blog Party! This delightful party is the brain child of Lori Anderson who carefully matches designers from all of the world into partners. Once you find out who your partner is you then contact them and send them a mix including a focal, some coordinating spacers or beads and a special clasp. I will admit that everyone usually sends more simply because it is so much fun. 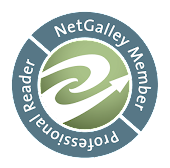 The purpose of the blog party is to push us outside our comfort zone and to make new friends. My partner is Skye, the mistress of Creative Chaos. Lori really had a moment of inspiration when she put the two of us together. Not only has Skye really challenged me but I really feel that I am found a new friend in her. Now as far as goodies. Here are the one that Skye sent to me. As you can see, she sent me much more then just the minimum. One of Skye's challenges to me was to use more white in my creations. She's really right, I do tend to stick to darker, earthier compositions. I also decided to take her challenge one step further and string the necklace. I can't remember the last time I made a necklace in this fashion. If I am not using chain then I am usually knotting. This design is also not one that I am totally happy with yet. I am using a temporary focal as I plan on replacing it with a Swarovski star. Next up are dragonflies. I had remarked here how much I loved dragonflies yet Skye didn't see any in anyt of the necklaces that I have pictured here. So she sent me some delightful dragonflies along with some gorgeous pillow beads and crystals. Here is what was born from that combo. Next up is one that is more my style then any of the others. And it was the one that I couldn't really get any decent pics of. This one is really a longer necklace at 30" and I really wasn't sure how to get it all in the picture. 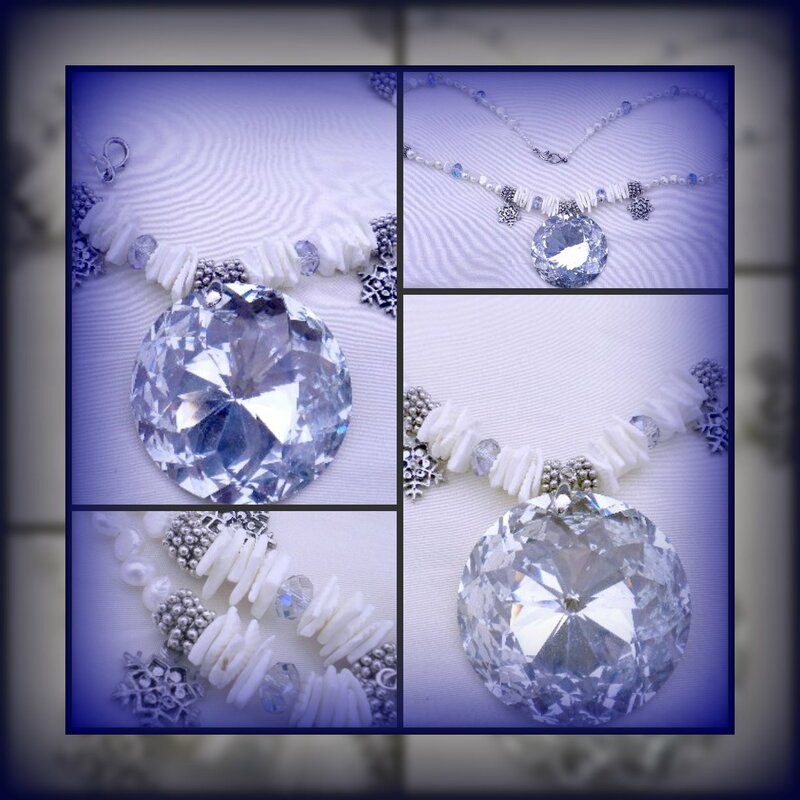 In this necklace, I used the focal, the clasp and some of the crystals that Skye sent me. Speaking of pics, with the exception of this batch here, these have to be the best jewelry pics that I have taken. I discovered that my camera really likes overcast days which works considering how many of those we have in this area. Skye also sent me some great tips that really helped. 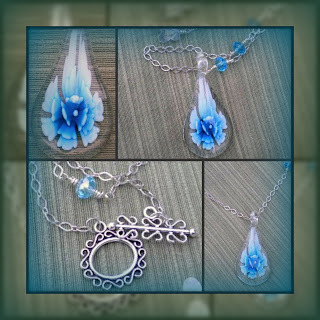 And last but not least is the necklace that I am the most pleased with. This necklace was totally inspired by the blue/black beads that have such fire. I fell totally in love with them when I first saw them and knew that I wanted them knotted with pearls. In this case Swarovoski pearls. It did take me a couple tries to get some pearls of the size and color that I wanted so now I have some left to play with. This is actually the first time that I have used Swarovoski pearls but now that I have I must pick up some more. This necklace is also a longer one at 28" and one that I am totally keeping for myself to remind me of this very enjoyable party. Now that you have taken a look at my humble offerings, be sure to check out what everyone else has done. There are a lot of us but it is so worth the time just to see the gorgeous works of art. Also some of the participants also host giveaways to go along with this event. I myself with be giving away my floral necklace, necklace #3 to some random commenter. For an extra entry, follow my blog and let me know in a comment. Since there are so many of us and I want to give everyone a chance to enter, I will be drawing a name on October 1st. Beautiful pieces! And what a fantastic group!! 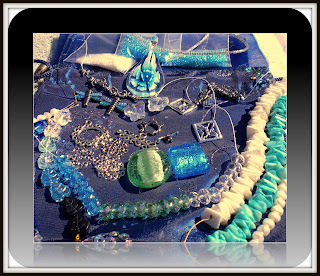 Are there openings for more beaders? I would love to join up. I think you took up the challenge well! All of the pieces are lovely! I think you're not happy with the one because it's a bit outside of your comfort zone. All of them are stunners! They are all lovely! The dragonflies are especially pretty. They are all so beautiful, so feminine. Love them. I wouldn't change anything. Really lovely. Necklace #1 has a real ethereal glow! Gorgeous! Love love love the dragonfly necklace-and what a terrific toggle!! So beautiful! Love them all, such pretty color combinations and I love how you used different styles for each! All beautiful but I really love the last two necklaces they are stunning and your photos are just wow! Very nice! I usually don't use much white in my designs either. That definitely would have been a challenge for me! Beautiful designs! I love that dragonfly necklace, lovely. I am SO sorry for being late — today our internet provider decided to crash. My stress level is through the roof, to say the least! They’re still working on it, but it’s like dial-up. Everything is so beautiful and elegant! I'm so proud of you! I hope you’ll participate again! these are so very beautiful! you do nice work! What an awesome soup! So many beautiful creations! Wow. So, You had challenges... but did it well. I like all jewelry You created!!! Dragonflies are so pretty! I will follow Your blog!!! But not only for the necklace.... I like Your style. Beautiful - I especially love the long chain necklace using Skye's focal and clasp. Looks very wearable! All are lovely though. It's great to be pushed creatively, isn't it? A beautiful soup mix. Love what you have created and of course anything with dragonflies catches my attention. I am impressed!! So beautiful!! Beautiful jewellery, all of it! I think that first necklace is my fave. Great job! Love those tiny dragon flies! Beautiful job! So many goodies : ) Happy Hopping!!! Wow! I think all of the pieces are great. I will have to try some of those pearls too. Very pretty! Love what you did with your soup! You must have had some fun. Delicious mix of bead soup! You turned out some Gorgeous pieces! I love how you have photographed them. What a great partner and with helpful photography tips too! All so beautiful, but I think my favorite is the first that you added the little snowflakes too, very adorable. These are all so gorgeous. Maybe we should all be pulled out of our comfort zone more often. Very nice, love the dragonflys. I'm with you. All your pieces are stunning, but I'm really drawn to that last one. The colors are so rich! Awesome work! oohhh so pretty! I find it hard to use white too, but am slowly gravitating towards it more. I like warm, natural whites and love creating things that are sorta the exact opposite of my usual scheme of rusts and earthy colors. Don't replace that focal with a star a star is so predictable the one you have is stunning and is my fav. piece of all. It's great that both of you felt challenged and that you both rose to the occasion as well as you did. You made a bunch of great pieces. Love the first piece... sparkle, sparkle! The white squares are the perfect accompaniment to all that dazzle! What pretty soup and jewelry! I agree that Lori did an amazing job matching up pairs. Hahah, I hit Skye's blog first and read how she purposefully picked items that would challenge you while still staying close to what you seemed to prefer - how very thoughtful of her! And it looks like the soup you put together for her proved to be quite a challenge too! wow so beautiful! I love your creations! They all turned out so pretty. It looks like there's a lot of bling in that first one. The dragonflies are so cute. And that focal in the 3rd one is just gorgeous. And the last one, I can see why you want to keep. Very simple yet elegant. Very nice job. What a lovely soup! You did an awesome job! Beautiful creations! Everything you created is beautiful :) Well done! You guys really challenged eachother...with spectacular results! 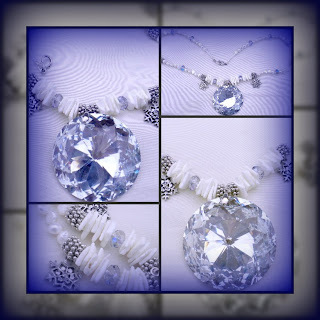 All of your necklaces are so different and beautiful, the first with whites and crystals is my fav. It's the romantic in me. Your pieces are beautiful! Lovely work!! You really did a great job stepping out of your regular style. You've got a great mixture of elegance and whimsy. Nicely done! Beautiful job, Shay. Especially like the first white piece. Your designs are nothing short of amazing. I am glad you were challenged to use white because I think those are the pieces that I totally adore!! Especially the first one but the flower pendant and butterflies are neck and neck for second favs. Well done! I see you had fun! Thanks for sharing your lovely designs with us. 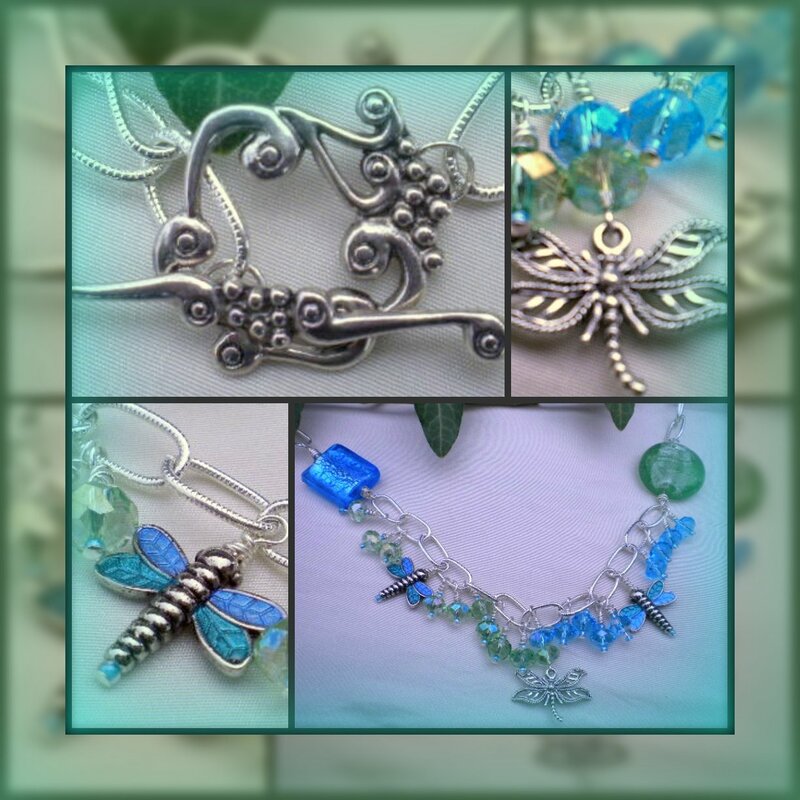 Lovely designs, I especially like the dragonflies. Beautiful designs - great job! Really beautiful work. I especially love what you did with the large green and blue pieces on the Dragonfly necklace. Your work isn't usually this "blingy" maybe that's why you're not sure of it. Thank you for the puppy comment- she's my little love! What great pieces! We’re all being pushed outside our comfort zones — with amazing results! Sounds like you and your partner really worked well together! You created some nice pieces. 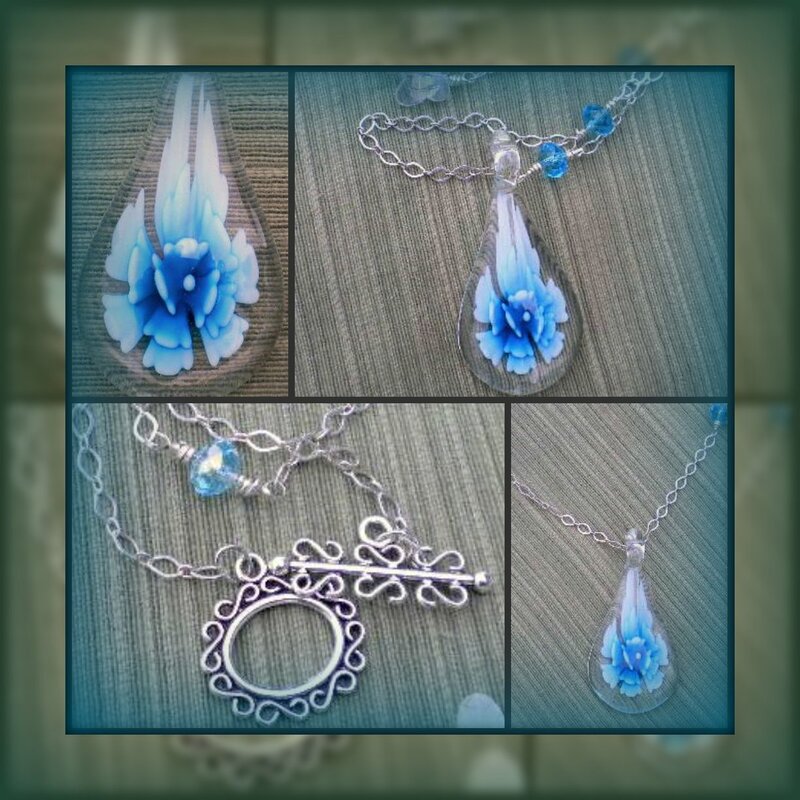 I especially like the simplicity of the 3rd necklace, and of course it's blue which I love! Love the beachy colors. I'm not sure which is my favorite! They are all lovely. Wow, what a great soup! You did a beautiful job, as always! I can't decide which is my favorite. I love the composition you always seem to have, they always look just right. Beautiful designs! I love every one of them. I really love your pieces the colors are awesome! 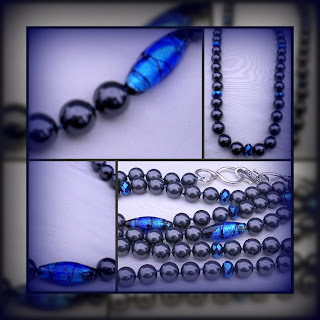 I love the blue and black necklace..it is so dramatic.....the focal lamp work bead sits perfectly with those (knotted!) pearls. Gorgeous job. You made nice pieces with your soup, they are all very delicate and romantic. Your creations are lovely! I gave you a follow, hope you return the favour!